One of my most anticipated mixtapes ever dropped today, and I’m promising that the singer/rapper Haywire is going to blow you all away with this one. Without mincing words, I’ll go straight to say the Chordratic Beats produced “Save Me” is my favourite track in the mix, and one of my best songs EVER! 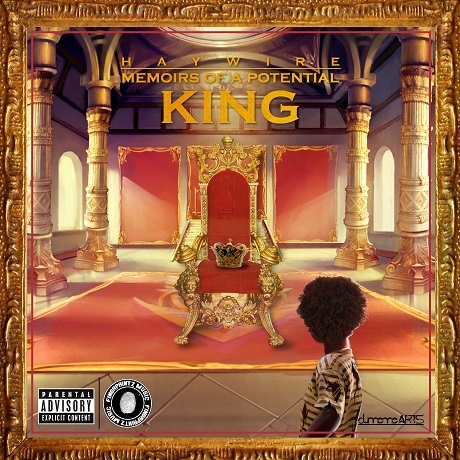 The mixtape which titled “Memoirs Of a Potential King” lives up to expectation, breaking barriers and clearing all doubts of whether true talent still exists in Nigeria . This is a true masterpiece, as the rapper not only shows his exquisite and amazing side with his rapping skills but also impresses with his vocal ability. The lyrical genius in Haywire truly comes alive as He calls the tape ‘Conceptualised Art’. The mixtape not only tells a story of the struggle Haywire faces, but also enlightens and rejuvenates the true essence of Music . With exclusive features with ‘Ozzy B, Tomi Thomas (LOS), NovaKillz, Nicotine, Profound, Jeffrey Benson, Epiq’ this tape is definitely The Best mixtape of 2015. Haywire is definitely an act to watch out for, and this mixtape is definitely a keeper, and a reminder that there’s still real music, hard-hitting lyrics, and true talent among the younger flock of artistes. Memoirs Of a Potential King is a Mixtape/LP hybrid which means you can download some songs for free, and then buy the original songs.